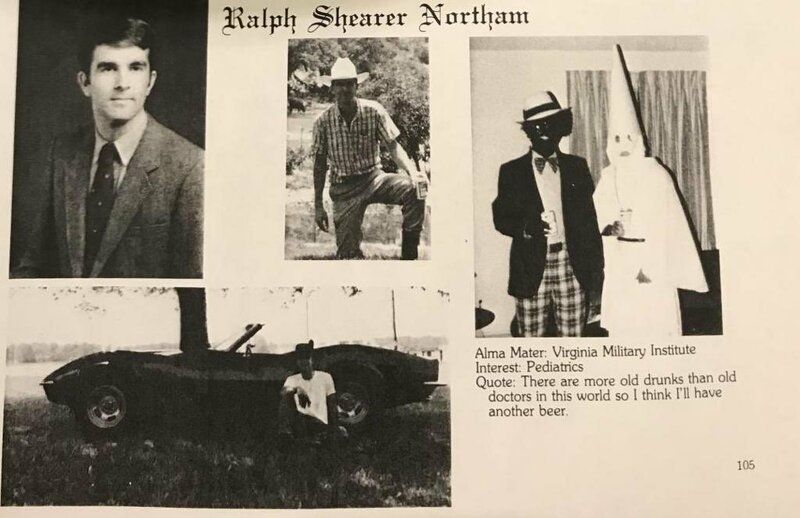 Washington, DC - A medical school yearbook photo of Virginia Governor Ralph Northam in either blackface or a KKK hood is eliciting calls for his resignation. This comes on the heels of comments Northam made earlier this week about abortion legislation in which he seemed to advocate infanticide. Members of the Project 21 black leadership network are speaking out against the embattled governor. "Very rarely does a politician leave me surprised or speechless. But this week, Virginia Governor Ralph Northam advocated for the murder of newly born infants, and then managed to add yet another dimension to his resume of evil with a photo that reveals him participating in seriously racist behavior. And yet he refuses to resign," said Project 21 member Rich Holt. "This Bond-villain level governor will, of course, be given a pass by the radical left - which he represents - because, when a liberal acts racist or wants to commit murder, it's apparently allowed." "The racist blackface picture that has emerged from Governor Ralph Northam's medical school yearbook, coupled with his recent comments supporting de facto infanticide, prove he has a long history of poor moral judgement," said Project 21 member Christopher Arps. "The people of Virginia should decide if this governor still has their confidence and the moral authority to lead them." "This is truly appalling, but not surprising, given that his political forefathers created the Ku Klux Klan," said Project 21 member Gregory Parker. "I find it interesting that liberals continue to look for racist ghosts among conservatives, such as claiming a Christian boy with a smile is racist, yet fail to look inward. It's all too hypocritical." "Virginia Governor Ralph Northam's 1984 medical school yearbook picture, with him either in blackface or a KKK robe, captures a mindset that - as a southerner who was a high school senior at the time - I know all too well," said Project 21 member Nadra Enzi. "Will his apology suffice - especially among the blacks, elite liberals and moderate voters who aren't inclined to accept mea culpas from conservatives? This foretells that a painful introspection lies ahead, where the avowed 'anti-racist' coalition must choose either partisanship or principle. And choose they must." Project 21, a leading voice of black conservatives for over 25 years, is sponsored by the National Center for Public Policy Research. Its members have been quoted, interviewed or published over 40,000 times since the Project 21 program was created in 1992. Founded in 1982, the National Center for Public Policy Research is a non-partisan, free-market, independent conservative think-tank. Ninety-four percent of its support comes from some 60,000 individuals, less than four percent from foundations and less than two percent from corporations.